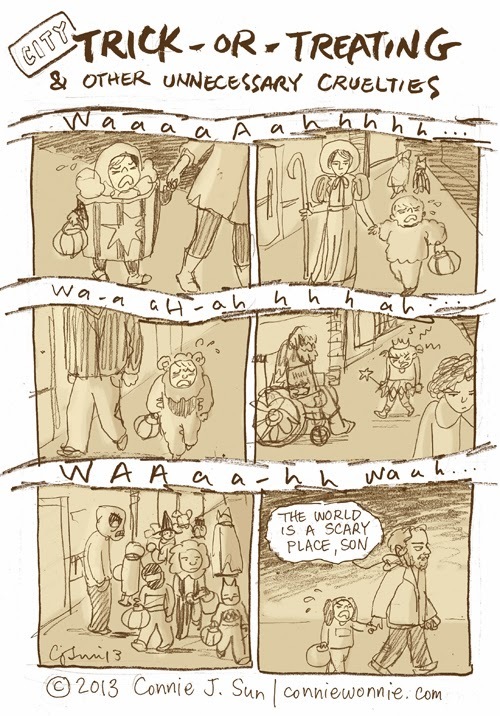 This is what I see every Halloween in my Manhattan neighborhood. I think I would be upset too. I really like your comics! Thank you!